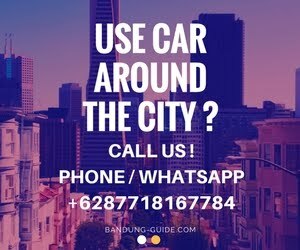 Regency of Bandung or the south part of Bandung City also has many natural tourism potential that is currently no less popular with other tourist attractions in bandung. In addition to which we already know that Situ Patenggang, White Crater, Rengganis Crater, Tea Garden Bandung Rancabali. Ciwidey also save one more tourist attraction that continues from time to time increasingly beautify the region, namely Kampung Cai Ranca Upas. In Kampung Cai Ranca Upas we can enjoy one of 12 Hot Water Bath Places in Bandung which is in ciwidey south bandung. Here there is a natural hot spring pool which hot springs are very nutritious for health, where the water comes from Mount Patuha. In Kampung cai raca upas area is available 2 pieces of hot water pool, which is for children and adults with. For the children's hot springs pool there is a perosotannya, and in the adult pool there are spilled bucket and slide. Here is a list of some of the most popular tourist facilities that you can enjoy when visiting Kampung Cai Ranca Upas. Ranca Upas itself has been known as one of the campgrounds in Bandung, and is popularly known as Ranca Upas Smart Camp. Here a lot of large-scale camping activities, ranging from local, regional, national and even international. 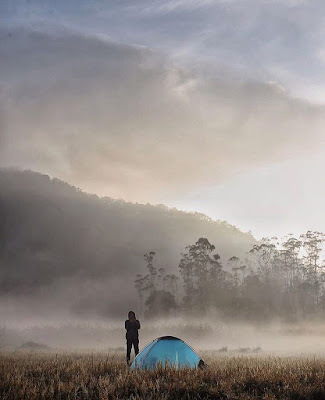 Ranca Upas become the best alternative as a camping place in Bandung other than in Graphic Tourism Terminal Cikole, D'Camp, CIC etc. Traveler's, below we include list prices - prices ranging from tent rental, and rental equipment and camping equipment. Traveler's, occupying a total area of ​​approximately 215 hectares, Ranca Upas is surrounded by a Protected Forest area. Various trees such as Tree Huru, Kurai, Jamuju, Kihujan, Hamirug, Kitambang, Pasang and Puspa, thrives there and the age of dozens already dozens of years. Not only that, in it became the living habitat of tropical forest animals that live for hundreds of years there. Well one of them is a horned animal that is quite tame and very friendly with humans, the Deer. 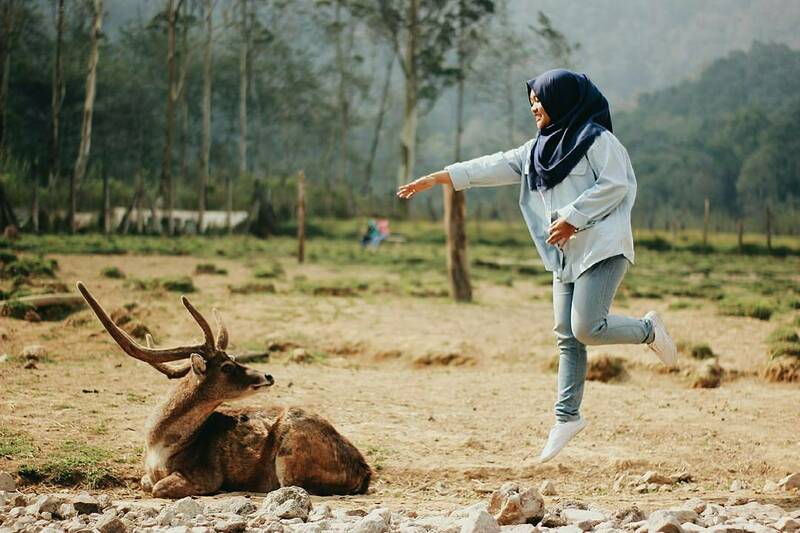 Deer breeding in Ranca Upas is one of the deer breeding sites in bandung, other than those in Gunung Buru Gunung Masigit Kareumbi Park.To get into the area of ​​deer breeding in ranca upas, it would be more fun we can buy carrots seharaga Rp.10.000 first. Well with that we can interact directly with the deer, that is by feeding him carrots - carrots that we have bought. Friends of traveler's, if you are looking for Outbound Tour in Bandung, then Ranca Upas Ciwidey is one of its recommendations.Here is Ranca Upas Tegal Kawani Outbound, which offers a variety of educational outbound rides, fun too challenging. Starting from Flying Fox, Elvis Bridge, Burma V, Goyang Bridge, Nuggle Trampoline, Paint Ball, Fun Games and Mountain Bikes. In ciwidey itself there is another great outbound location in southern Bandung, complete with its culinary center is Bale Bamboo Ciwidey. Well, below is a complete list of facilities - tourism facilities in Kampung Cai Ranca Upas that you can find. Traveler's, how to access the location of the tourist area of Cai Ranca Upas village is very easy, can with ride personal vihecle and public. Start at Terminal Leuwipanjang, ride vehicle route Leuwipanjang - Ciwidey. Arriving at the Ciwidey Terminal, continued with a yellow angkot ride Ciwidey majors - Rancabali. The benchmark location of the village of cai ranca upas is, a few meters after passing the entrance to Kawah Putih. Located on the right, there is the entrance to Kampung Cai Ranca Upas, and goes into about 100 meters.